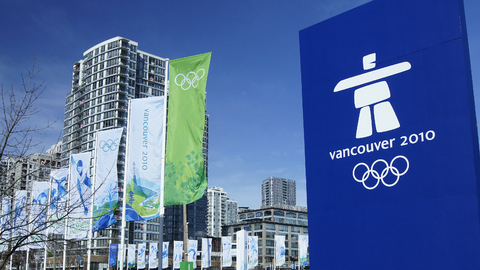 It has only been a few months since the 2010 Winter Olympics. An American won the gold medal for figure skating. Can you remember his name? Can you picture his face? Achieving top of mind status is quite an accomplishment. Staying top of mind is a whole other matter in our attention-deficient world. Studying how celebrities maintain visibility can reveal personal branding secrets that can give you a competitive edge as a luxury real estate marketing professional. You might remember Evan Lysacek’s stellar skating performance in Vancouver, BC. But, just in case you forgot his face or name you can find Evan appearing on TV in Dancing with the Stars. Is it a coincidence that he is a featured dancer on the show just after his Olympic triumph? Chances are he has hired a talent agent to keep his name and face in front of your face. Why is visibility so important and what is at stake? Product endorsements and skating show gigs are some of the ways that Evan can cash in on his celebrity. For luxury real estate agents, being visible and achieving top of mind status in your marketplace means more referrals. The higher your recognition and appeal factors are, the more likely you are to secure the lion’s share of the market. In media, marketing, advertising and public relations the measurement of your familiarity and appeal is known as your Q Score. The Q stands for quotient, as in recognition quotient (amount, share or percentage) within your target market. An example of a luxury real estate professional who has achieved a very high Q score is Barbara Corcoran in New York. She certainly stands out as a celebrity real estate expert whose opinion is continuously sought out by the media. With the advent of social media and self publishing through multiple media channels, the opportunity to build a personal brand and achieve celebrity status in your marketplace has never been better. If market leadership is your quest, seize the opportunity to gain and sustain visibility. Authoring a follow- worthy blog that is buzz-worthy is one way to get you there. See part two of this series for more details.